Section 4, Row EE. Notice the grassy lounge area in left field. Although we’ve lived in Providence for nearly four years, we only just made it to our first Pawtucket Red Sox (aka PawSox) game this May. Clearly, we are not the most devout sports fanatics. 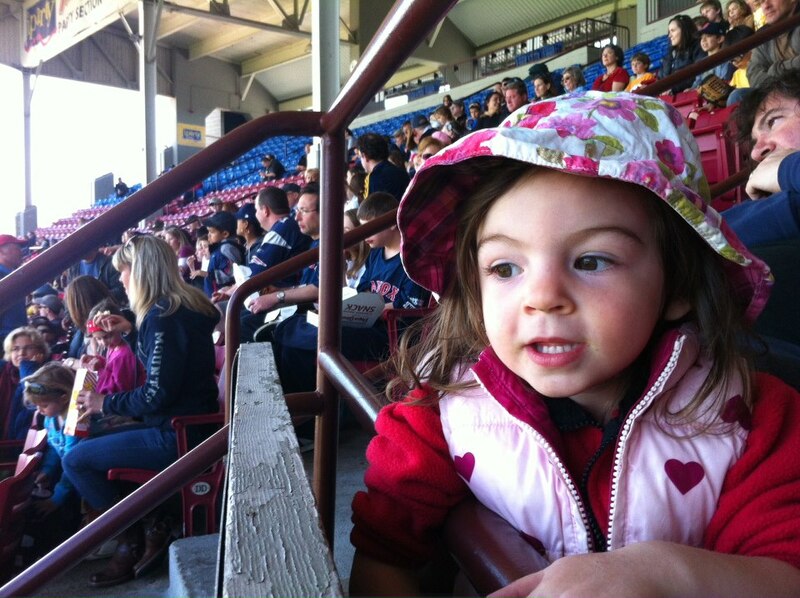 Our two-year-old may not have been that attentive on the game itself, but she was a big fan of the stadium snacks. 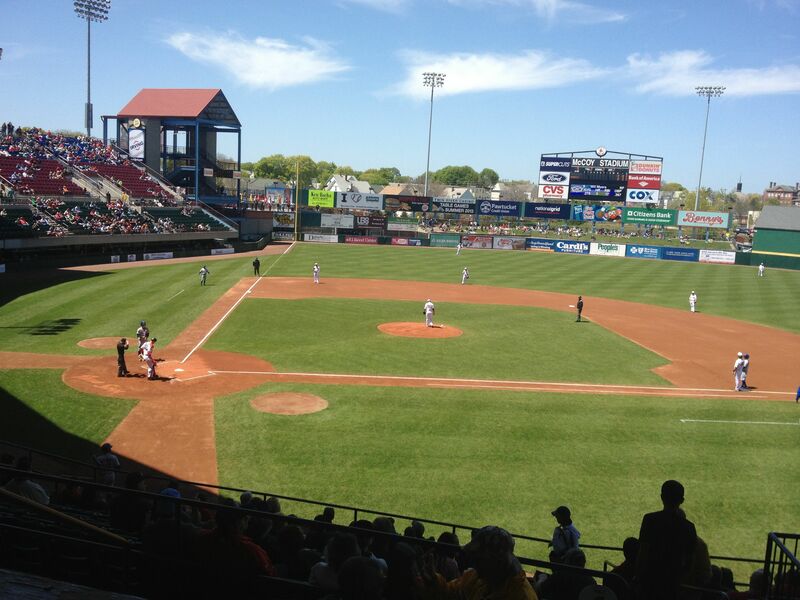 As it turns out, McCoy Stadium is an ideal size, seating 10,000 people, making it large enough to feel the fans’ excitement while being small enough to actually see the game. And, the the general admission prices are quite reasonable at $8 per adult and $5 per child. It may have taken us a few years to get there, but I’m quite sure we’ll be back again this season.